I once read that the divine Barbara Streisand flies her massage therapist everywhere with her, first class, so she never need risk her body in stranger’s hands. You can bet she’d be keen on getting her money’s worth and have a massage every day. And she couldn’t be blamed for requesting the odd bit of shoulder work in-between times too. 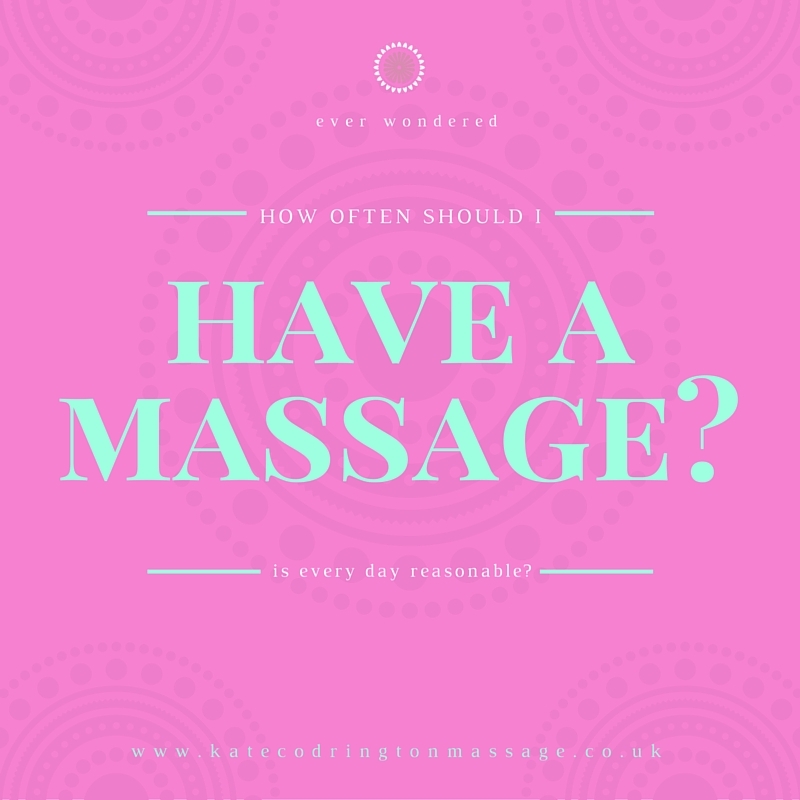 Those of us who are less well financially resourced can only dream of a massage twice a day. Instead we must look at how much time and money we have and plan with that in mind. If you have lots of this sort of quality stuff in your life, then you can plan your massages in advance as a blissful treat when you fancy it. For everyone else, plan it in your diary, but more often! For all of us, no matter how well resourced, it’s too easy for the busyness of our lives to be more important than looking after ourselves. Interestingly, a well-resourced life doesn’t necessarily go hand-in-hand with a well-financed life, there are plenty of impoverished rich people out there. Whatever your resources, the best thing to do is decide on an interval and book them in advance. Having a regular appointment, even if it’s just three times a year, creates a kind of holding that an ad hoc arrangement doesn’t provide. It serves as a reminder to you to pace yourself. It helps you to develop your body awareness (“oh I must tell my massage therapist about that”). You are more likely to put in to practice your therapist’s self-care recommendations. Your body will relax more quickly when you go along. You feel safer and better held by your therapists’ professional concern. You’ll be able to relax more every time and resolve deeper emotional issues that hold you back. I can go on endlessly about the value of the abdominal self-care massage. I’ve written all about the benefits of it. Take it from me, it has an amazing effect on your life. You can get instructions and learn how. It’s a daily massage but true enough, it’s not the same as going to a professional. Just ask Barbara. Are going for muscular skeletal issues, as they will quickly improve. During periods of intense transition like pregnancy, children leaving home, change in work situation, menopause etc. Your therapist may well give you a discount for regular weekly sessions. A massage every two weeks gives you a regular opportunity to check in with yourself. 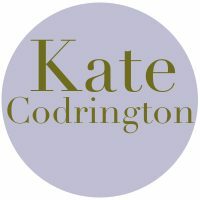 Many of my pregnant and postnatal clients come once a fortnight. This interval lets them check into their blossoming body and baby to enhance the prenatal bonding as well as creating mental and physical space for their babies. They probably wish they could come weekly though, because they find it’s never quite enough! Monthly sessions are great for maintenance. When your diet is sorted and you have found the different kinds of exercise and practices that suit you through the month, a monthly massage can be the icing on the cake. I’m not just talking Christmas. I have clients who come at the change of the seasons, sometimes consciously and sometimes not. The mums’ favourite is either just before the end of term, or just after the kids have started the new term. This is an excellent strategy that I have used myself in the past. 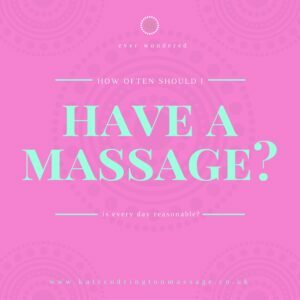 How often should I have a massage? In short, here’s the equation you need to resolve… Cash + time + need = booking sessions in advance at appropriate intervals. It’s massage maths innit! 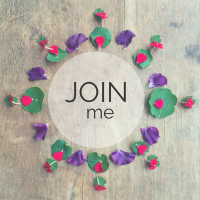 You can find out about Intuitive Bodywork here. No Replies to "How often should I have a massage?"